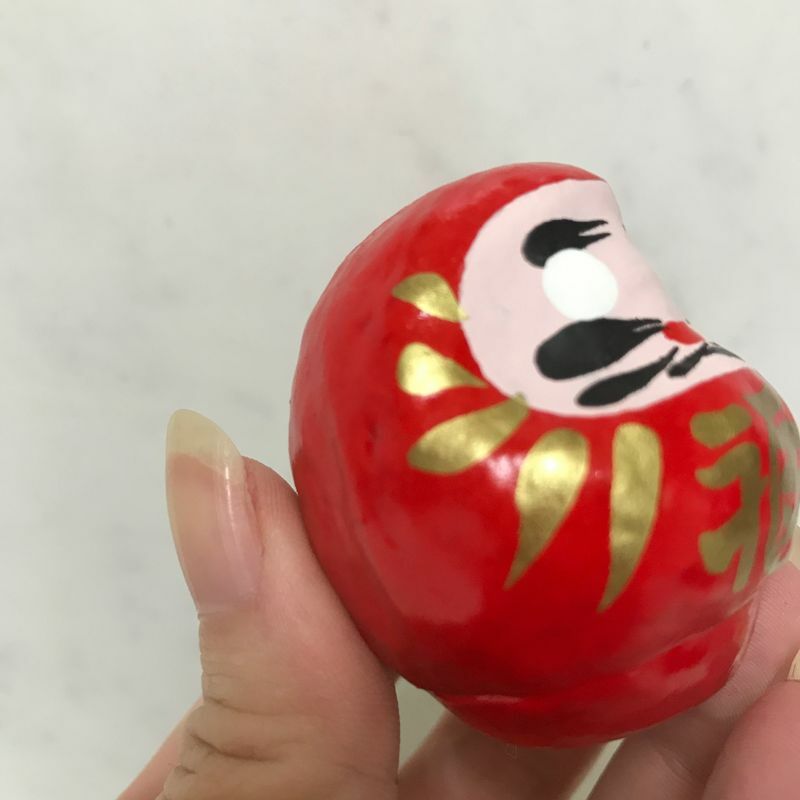 Growing up, I remember being terrified of daruma dolls. They always looked so serious, with their round bodies and angry faces. Even with the eventual addition of the eyes, which personalize them a bit, they were never to my liking. Though they were supposed to bring you good fortune--helping to grant your wish--they seemed rather ominous to me. They started to grow on me over the years, but especially after a friend bought one and prominently had it displayed in her room. I spent a lot of time with her, so I saw a lot of that daruma. 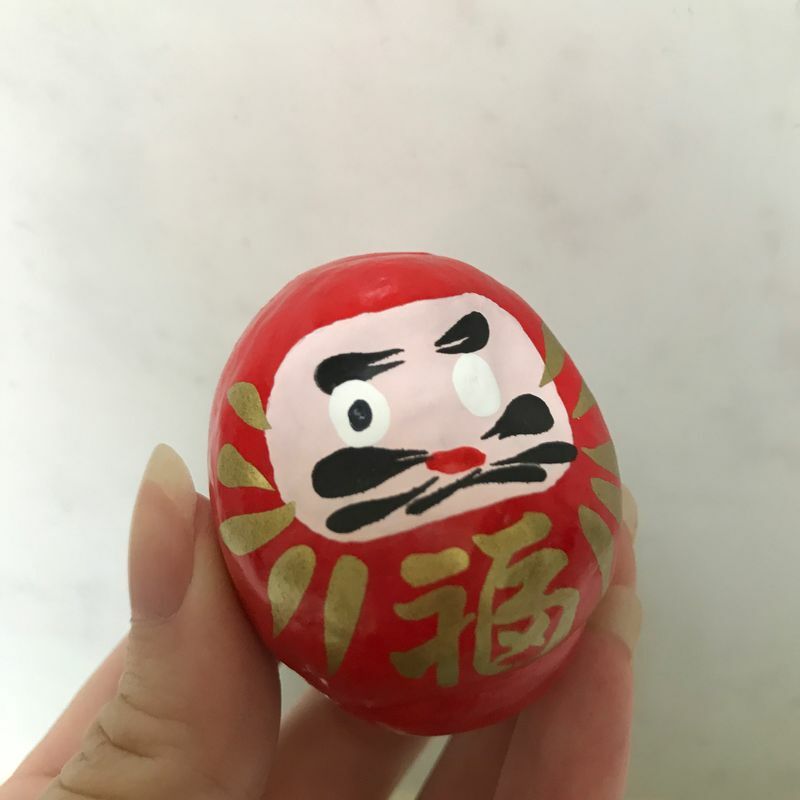 I went to a plum blossom festival in Tokyo a while back and saw a booth selling handmade daruma dolls for 500 yen. 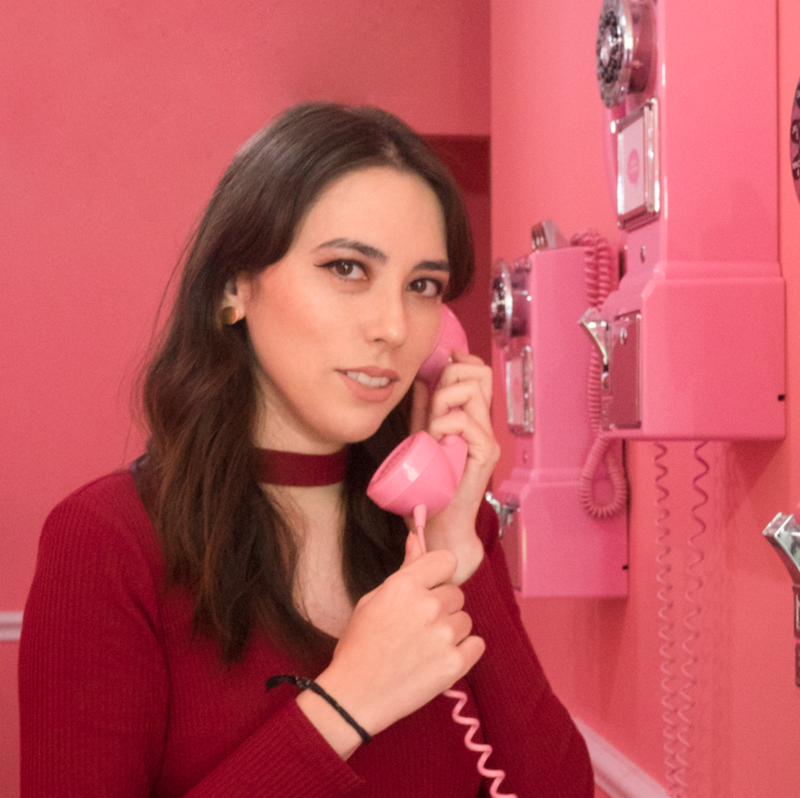 There were a wide range of colors with a sign explaining what each color symbolizes. I decided to pick one up for myself because I have the dream of returning to grad school someday. I've been working towards it but I figured any extra luck couldn't hurt. The red was the standard "good luck" and I figured it was appropriate given my wish. 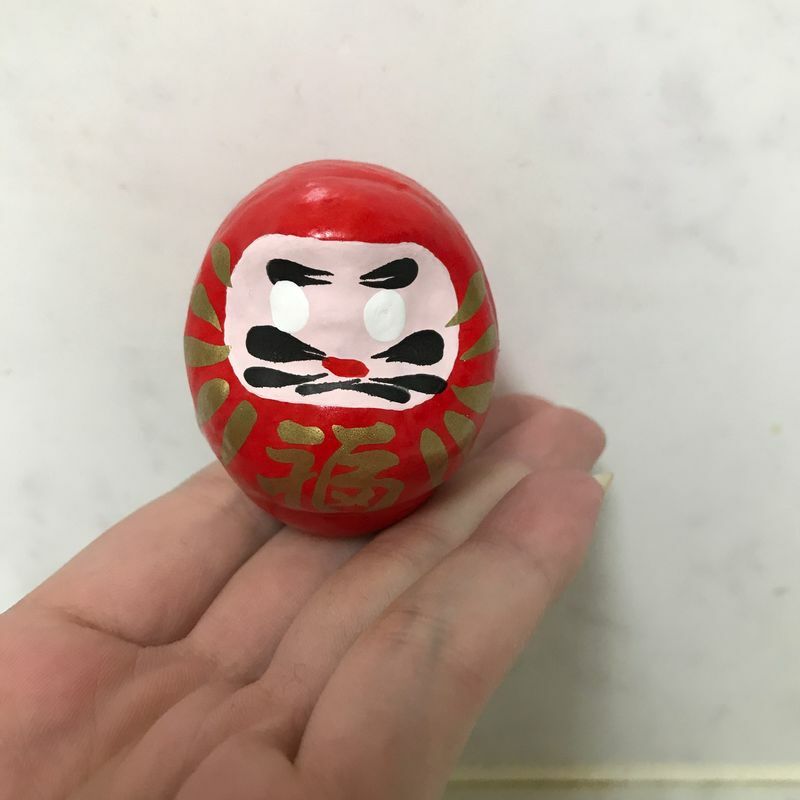 I'm really glad that I purchased this daruma at a festival rather than in a tourist shop. They are all handcrafted and then hand painted, so each one has its own character and unique look about it. Here's my daruma after making my wish and drawing in his eye. He already looks a bit cuter, don't you think? I hope that my wish to go to grad school comes true, and I can fill in the other eye soon! ...But until then, this little guy is watching me from a bookshelf, silently willing me to put in my applications and write my essays.